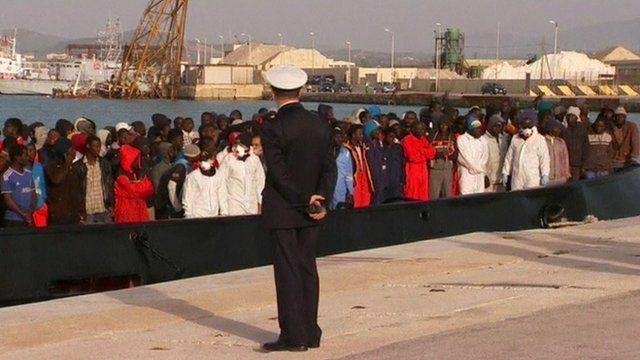 Italian PM warns over migrants Jump to media player Italian Prime Minister Matteo Renzi has warned that thousands of Africans will continue to risk their lives trying to travel to Europe unless the civil war ends in Libya. Migration 'emergency for all of the EU' Jump to media player The current situation of illegal immigration to Europe is an "emergency for all of the European Union", according to the International Organisation for Migration. Italian Prime Minister Matteo Renzi has warned that thousands of Africans will continue to risk their lives trying to travel to Europe unless the civil war ends in Libya. His comments come as figures suggest that more than 10,000 migrants have been rescued trying to cross the Mediterranean in the past week alone. Go to next video: Why is Med so deadly for migrants?